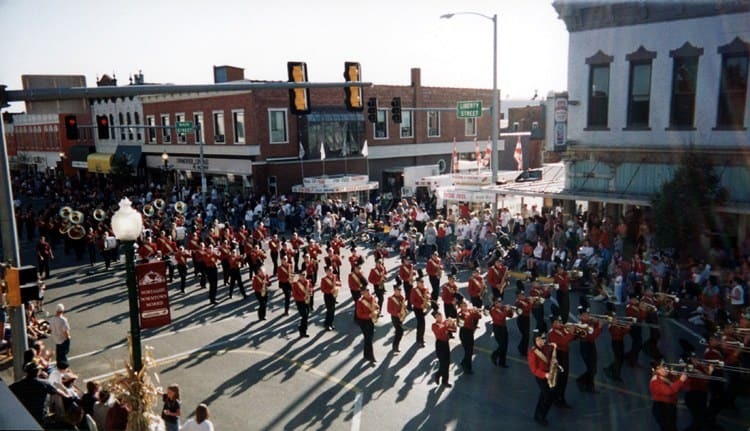 Grundy County offers Festivals, Parks, and various events throughout the entire year! Through all the seasons our towns are brimming with a festival of activities. A theme of foods, parades, crafts, and games are planned for months to add enjoyment to residents and visitors alike. Choose history, ancestry, harvest or holiday, for fun-filled days of celebration. In the heart of Grundy County’s boundaries are some of the most beautiful parks in the state. Full of bluffs, lakes, hiking trails, prairies, and scenic river banks, anyone can find the outdoorsman within. Plan for the day, stay for the night. Some of our parks are handicapped accessible. Come boat, camp, picnic and stroll while taking in the very breath of nature that is Grundy County. Visit the Illinois Dept. of Natural Resources for detailed information. From I-55: take the Rte.6 Channahon exit. Turn west on Rte.6 and continue into Channahon to Canal St.
Take a left on Canal and proceed to Story St. Turn right on Story into the park. If the parking area is full, continue on Canal St. one more block to the Jessup St. parking area. A tranquil setting, flowing rivers, and natural prairie land–the Des Plaines Fish and Wildlife Area has it all! Visitors will delight in the abundance of wildlife, restful picnic areas and variety of sport-fishing species. Farmland and woodland, prairie and swamp, still water and shoreline offer unlimited opportunities for nature lovers and sportsmen. Today, hikers, campers, picnickers, and canoeists’ frequent Gebhard Woods State Park, a 30-acre site, making it one of the state's most popular state parks. 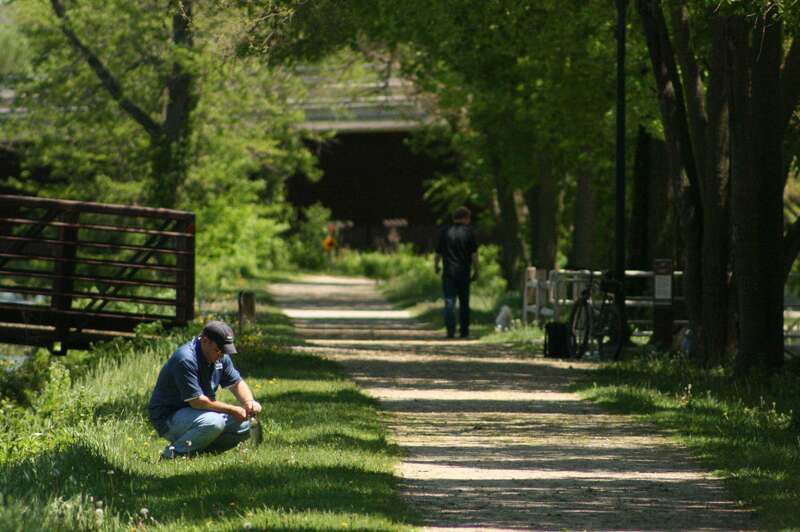 Located in Morris, this picturesque park is bordered on the south by the Illinois & Michigan Canal and to the north by Nettle Creek which gently flows along the perimeter and through the park adding to its natural beauty and abundance of wildlife. Continue on Freemont St. to Ottawa St., turn left on Ottawa St. Located in Grundy County, Goose Lake Prairie is approximately 50 miles southwest of Chicago and 1 mile southwest of the confluence of the Kankakee and Des Plaines rivers. More than half of Goose Lake Prairie is a dedicated nature preserve, protected by law for future generations from any change to the natural environment. In addition to furnishing a look into Illinois’ past, the prairie provides important nesting habitat for endangered or threatened species of birds, such as the upland sandpiper and Henslow’s sparrow. Trails are available for cross-country skiing in the winter. The trails are not for motorized vehicles, bicycles, or dog sled teams. Check the visitor center for maps. From I-55 to exit 240 Lorenzo Rd./Pine Bluff Rd. Travel west approximately 7.5 miles to Jugtown Rd. Turn north on to Jugtown Rd. Travel 1 mile to entrance on the right side to Goose Lake Prairie State Park, Visitor Center, and park trails. Adjacent to Goose Lake Prairie is the 2,000-acre Heidecke Lake, previously a cooling lake for Midwest Generation Collins Generation Station (now dismantled). The lake area is known as Heidecke Lake Fish & Wildlife Area. The lake, which is managed by the state, offers fishing and hunting. A boat launch is available only for those purposes. No water skiing, swimming, wading, sailboating or personal watercraft is allowed at Heidecke Lake. The boat access is open from 6:00 a.m. to sunset. The bank fishing access area is located on the east side of Heidecke Lake on Old Collins Rd. Bank fishing access is open from 6:30 a.m. to sunset. Boat areas are open seven days a week, weather permitting. 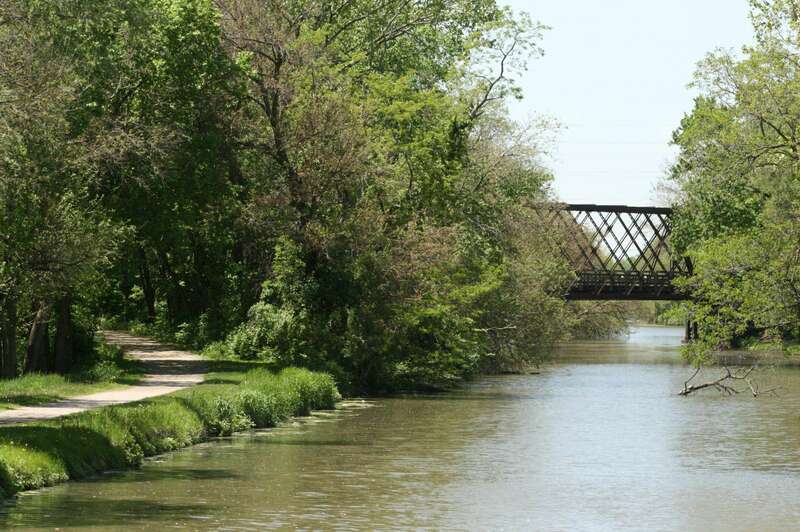 History buffs, nature lovers and sportsmen will thrill to the sights and sounds of the 96-mile route of the Illinois and Michigan Canal. Along its banks are numerous state parks, restored historical sites, and abundance of wildlife and distinctive landscapes, ranging from bluffs to rolling hills. 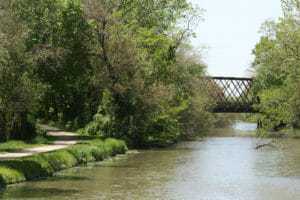 Visitors can follow the I&M Canal State Trail beginning at Rockdale along the old towpath to LaSalle and experience 61.5 miles of scenic views of the canal and the Des Plaines and Illinois Rivers. At every turn, trail users will find something of interest. One can spend an afternoon or several days exploring the wonders along this picturesque and unique area. Mazonia State Fish and Wildlife Area consists of 1,017 acres and is located in Grundy County 3 miles southeast of Braidwood on Illinois Route 53 and Huston Road. Although Mazonia features sport fishing and waterfowl hunting, a variety of other outdoor recreational opportunities are provided throughout the year. Upland game hunting, furbearer trapping, limited picnicking, nature study/birding, fossil hunting, and water dog training is also available. Fossil Collecting – Mazonia is well known for Pennsylvanian age fossils. A day permit is required to collect fossils and may be obtained from the park office or website. A reporting form is also available for reporting what was found. Excavations and collecting for commercial purposes are prohibited. In addition, fossil collecting is restricted to March 1st to September 30th. Named after an Illinois governor, the William G. Stratton State Park was developed in 1959 to provide boat access to the Illinois River. Any one of four public boat launching ramps will provide your start to an afternoon of boating, fishing or water-skiing. A jet ski launching area is located a short distance to the east of the boat ramps. Proceed on Illinois Ave. to Calhoun St. and turn left. Crossing over the Illinois & Michigan Canal turn left on Griggs St.
Postcards are available at all 3 chamber locations. 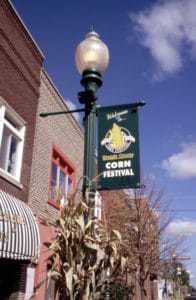 A tradition since 1949, the Grundy County Corn Festival serves as a homecoming to thousands each year with a variety of activities and entertainment and is home to the largest parade in the Midwest. 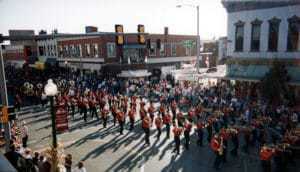 Marching is the Morris H.S. Band. 4 x 6. Located in Gardner, Illinois, the historic Two-Cell Jail was built in 1906. Although it was closed in the late 1950's, it remains a popular photo opportunity for visitors. 4 x 6. A tradition since 1949, the Grundy County Corn Festival serves as a homecoming to thousands each year with a variety of activities and entertainment and is home to the largest parade in the Midwest. 4 x 6. Dollinger Family Farm in Channahon, Illinois has been in the family since 1852. 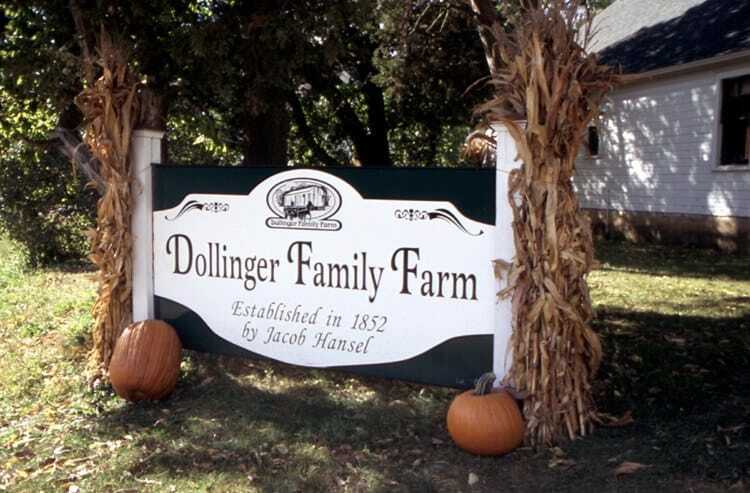 The farm is open to the public during their popular Pumpkin Season, Civil War Reenactment and the Antique Steam and Tractor Show. 4 x 6. 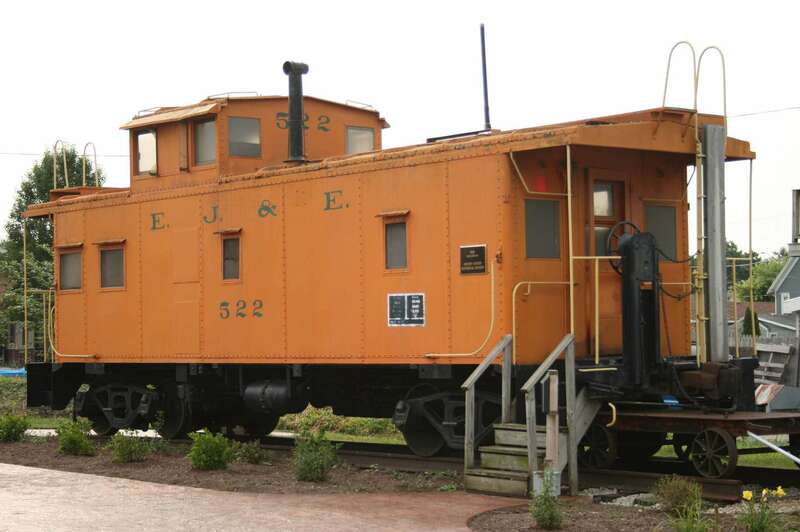 After years of service in the area, the EJ&E Caboose #522 now rests by the historic Rock Island Train Depot in downtown Morris. 5 x 7. I&M Canal National Heritage Corridor towpath, which is currently 61 miles in length, offers visitors scenic recreational opportunities. 5 x 7. I&M Canal National Heritage Corridor runs through 49 towns and was the first complete water route from the east coast to the Gulf of Mexico by connecting Lake Michigan to the Mississippi River by way of the Illinois River. 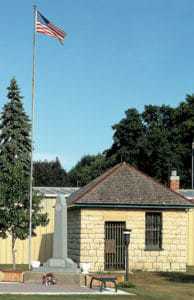 This portion is located in Morris, Illinois. 5 x 7. 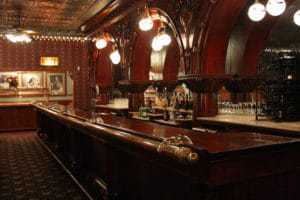 "The Bar" at Rockwell Inn restaurant in Morris, Illinois, was built in 1893 by Brunswick and displayed by Anheuser-Busch at the Columbian Exposition World's Fair on Chicago's lakefront. 5 x 7.